HOW CAN WE WALK WITH GOD? Excerpt from the Sermon by Pastor Djohan Handojo. Bethany International Service, Sunday, 24 January 2016. The people of Israel were excited to see Canaan, the Promised Land. They were freed from slavery and looked forward to starting new things. This year the Lord will do great wonders for us as we purify ourselves. As children of God, we should not be afraid of our tomorrow because He promises to be with us, because His name is Immanuel, which means “God with us” (Matthew 1:23). Our eternal Father is always with us and for us. God cares for each one of us individually. He knows how we feel, our thoughts and desires. The year 2016 will not be an easy year, it will be a year of quaking and shaking (Joel 2:32). Violence upon violence and everything that can be shaken will be shaken until the only unshakable Kingdom of God remains. The situation of the world is heading towards the new world order. We are living in the last days and around the world we can see the nations are experiencing quaking. A prophecy for USA, if they do not return to the ways of the Lord, they will face destruction. USA is legalizing LGBT, people are living immorally without reverence for the Lord. Sometimes God allows us to experience a diverted route, an unexpected U-turn, like what Moses and the Israelites experienced. Moses was not raised as a Hebrew, he was brought up as an Egyptian. When he found out about his roots, he wanted to bring the Israelites out of slavery. Moses had to deal with rebellious and stubborn people, who attacked his leadership. Even though the Israelites experienced the blessings of God, they kept on murmuring and grumbling. For 40 years, Moses led the Israelites on a lengthy journey, when it was supposed to be a short journey. God allowed the Israelites to re-route in order to purify their hearts. God cares more about our character and our commitment to follow Him more than our competence. Skills can be trained and equipped but character and commitment comes from the heart. “Give ear, O heavens, and I will speak, and let the earth hear the words of my mouth. May my teaching drop as the rain, my speech distill as the dew, like gentle rain upon the tender grass, and like showers upon the herb. For I will proclaim the name of the Lord; Ascribe greatness to our God! “The Rock, His work is perfect, for all his ways are justice. A God of faithfulness and without iniquity, just and upright is He. 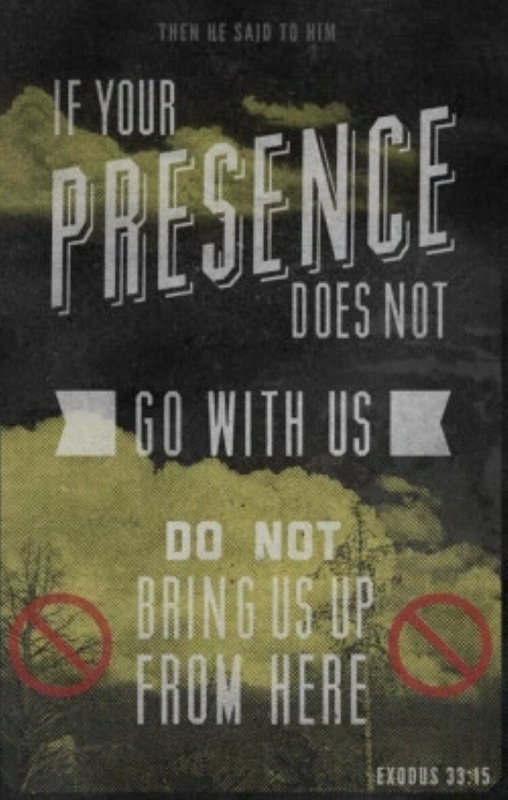 WHO MAY ABIDE IN HIS PRESENCE? Pastor Hanna Handojo shared a testimony about her recent visit to Taiwan. She was assigned an 80-year old translator, who had been away from Indonesia for a long time. During the preaching, the translator was unable to translate accurately. But at the end of the service, a few people approached Pastor Hanna and informed her that they understood her sermon although the people don’t speak Bahasa Indonesia! The Taiwanese pastor at the church where she preached showed her that many had posted in Facebook about it. It was the presence of God that enabled the people to understand the Word of God even though it was in another language! He who does these things will never be shaken (Psalms 15:1-5). He shall receive a blessing from the Lord (Psalms 24:4-5). There are few things we can learn from the verses above if we want to abide in the presence of God. We need to respond correctly towards God, towards our self and towards others. The core of our worship is our heart. When our relationship with God is good, the condition of our heart will also be good. We need to learn to speak the truth from our heart. The only way to do that is to be connected with God. Let the Word of God be real in our lives. We need to allow the Holy Spirit to work in our heart and He needs our permission. We need to love the truth. When we have a deeper relationship with God, the more truth we will speak from our life. What is the condition of your tongue? When the patient showed his tongue, the doctor was able to judge the condition of the patient. What is the condition of your spiritual tongue? The state of our tongue reflects our spiritual condition. From the tongue, we can understand the condition of the person as the person relates to us his or her condition. We need to ask the Lord to change us so that we become more like Him each day. We should be content with the food and basic necessities which we are blessed with. Is money the most important thing in our life? People may give many excuses but God knows our heart and motives. Some people have the habit of borrowing money but do not return the money even when they are able to. Do not borrow for the sake of borrowing and forget to return. When we borrow something, we should have the habit of repay or returning it as soon as possible. We need to remove pride in our life. God will change the way we look at money. That will help us to walk right with God. We need to repent. It is better to eat simple and have no debt, than to eat in luxury and have many debts. Pray to God for wisdom on how to handle the money that God has entrusted to us so that God can be glorified. Excerpt from the Sermon by Pastor Betty Handojo, ministering at Bethany International Service on Sunday, 27 December 2015. Life is not only about having food and drinks, a good career, family and education, etc. Human life may seem like a repetitive cycle – birth, growing up, getting married, earning money, having and raising children, having grandchildren and the whole cycle repeats itself. Jesus came to give us life and life in abundance. The thief comes only to steal and kill and destroy. I came that they may have life and have it abundantly (John 10:10). Who wants life? The life that God has given to us is mentioned in Romans 8:2, “For the law of the Spirit of life has set you free in Christ Jesus from the law of sin and death.” God wants us to live in this world with long life for a reason and for a purpose. We are living in the end times, and living in the last days; God is calling us to be watchful and to be on guard! Life on this Earth is not forever; our eternal dwelling place is the heavenly home of Jesus. The last call is being announced, this is the final hour. When Pastor Betty was 15 years old, God brought her to see the situation in the end times. She was fully awake and not dreaming when suddenly her spirit left her body and God showed her a great persecution and the situation of the churches in the last days. These days, children from different countries are receiving the similar visions and dreams that point out that Jesus is coming soon (Joel 2:28). We are experiencing the last call; as these things happen Matthew 24:1-14 is being fulfilled. On 12 April 2012, Pastor Betty was given a dream about rapture, a chaotic situation where people were screaming end times, end times, end times! Pastor Betty heard a voice saying, “I am coming soon!” She was taken to a very bright place, a place of rest, peace and joy. What happens if we hear the last call of God? When you hear the last call for your flight, you will run towards the boarding gate as fast as possible so as not to miss your flight. Remember that grace did not save Noah, but Noah’s obedience saved him and his family. God is not going to execute His judgments without informing His beloved. Genesis 6:5-12 – the Earth was filled with violence and corrupted. Beware of developing bad habits and any forms of addictions or we will miss the opportunities that God has for us. Choose life; obey God’s statutes and precepts. God is going to judge this world again. God wants us to be watchful and not to allow our worldly life to overtake our spiritual life. Don’t give God the remaining of our time and our offerings. Don’t mock the call of God in these last days. Get ready and be on guard. Think about pursuing Jesus. God wants us to live a full life in Christ, having Jesus and His Holy Spirit in our life. Don’t compromise with this world. Hear God’s voice and don’t give any opportunity to the devil. Therefore, having put away falsehood, let each one of you speak the truth with his neighbor, for we are members one of another. Be angry and do not sin; do not let the sun go down on your anger, and give no opportunity to the devil (Ephesians 4:25-26). Refrain from anger, and forsake wrath! Fret not yourself; it tends only to evil. For the evildoers shall be cut off, but those who wait for the Lord shall inherit the land (Psalms 37:8). Anger can lead us to wickedness. Sin will make us deaf and blind. Settle with our life issues; forgive others as we have been forgiven. Let the thief no longer steal, but rather let him labor, doing honest work with his own hands, so that he may have something to share with anyone in need. Let no corrupting talk come out of your mouths, but only such as is good for building up, as fits the occasion, that it may give grace to those who hear. And do not grieve the Holy Spirit of God, by whom you were sealed for the day of redemption. Let all bitterness and wrath and anger and clamor and slander be put away from you, along with all malice (Ephesians 4:28-30). When we live without the help of the Holy Spirit we will die in our sins. God reminds us that we are living in the last days. We may not hear His last call clearly, but we should see the signs of the second coming of Christ. Be watchful and don’t live in sin which will give a foothold to the devil. Check if there is any unsettled anger in our heart, this will lead to the death of our spirit. When we grieve the Holy Spirit, there is no place for the spirit of the Lord to be present. Be serious with God because wickedness abound these days as the Devil is working hard to steal our abundant life Christ. How can we live for Jesus? Come to Jesus. Open our hearts, confess our sins, walk with the Holy Spirit our Helper. The breath that we have is the breath of the Holy Spirit, the giver of life. Live in Holiness, to be a new creation in Christ. Repent everyday because sin will kill us. Ponder upon our own life. When the Holy Spirit is in us, we break free from all bondages. The Holy Spirit will give us the hunger and thirst to desire Jesus. Draw closer to the Lord through obedience. As a result of being filled with the Holy Spirit, we will return to our first love – Jesus Christ, having burdens for lost souls, and we will have power over sins and Satan. And these signs will accompany those who believe: in my name they will cast out demons; they will speak in new tongues; they will pick up serpents with their hands; and if they drink any deadly poison, it will not hurt them; they will lay their hands on the sick, and they will recover (Mark 16:17). Choose life and live for Jesus to have a meaningful and purposeful life. Excerpt from the Sermon by Pastor Harun Lie, Ministering at Bethany International Service, on Sunday, 3 January 2016. Our world faces many uncertainties, but there is one thing that is certain and that is God’s presence with us. Pastor Joseph, a pastor from NY Avenue Presbyterian Church, received a special Bible, which once belonged to Abraham Lincoln. The Bible was given to Abraham Lincoln at a very young age by his mother. Everyday Abraham Lincoln’s mother would ask him to memorize the Word of God. The former US President had written many notes at Psalms 37 in the Bible. This indicated that Abraham Lincoln had referred to this psalm many times, especially when he had so many important decisions to make. In the midst of the uncertainties we face, let us hold on to the Word of God. Trust in the LORD and do good; dwell in the land and feed on His faithfulness (Psalms 37:3). When we put our trust in the Lord, we place our problems into His hands. We are relying on God’s unlimited capabilities. Just like our children who never have to worry about their school fees etc, as they trust us to fulfill their needs. We are dependent on His wisdom, guidance and all of His omnipotence to be revealed in our life. Did God take control of this whole Earth before we were born? Will God take control of the whole Earth after we die? If we believe in God, why don’t we let Him take control of our present circumstances? Then Cromwell’s secretary and his assistant prayed together to surrender their problems into God’s hands. They had a successful mission the following day. Likewise we should let God carry the burdens of our life instead of carrying it ourselves. Delight yourself in the Lord, and he will give you the desires of your heart (Psalms 37:4). In these two verses, God uses two different birds – ravens and sparrows to show He even takes care of their needs. The Israelites in general do not like the ravens as they are considered unclean animals. But our God, who even values ravens, will surely take care of us. It is God’s responsibility as our Father in Heaven, to provide and look after us. There is a story of God’s provision that happened in the northern part of Brazil. A Brazilian missionary lived through a prolonged drought. He was looking for food in other towns during the famine time. He took his donkey searching for food and he came back few days later with one big bags of rice and one big bag of beans. When he came back to his village, he felt bad looking at the villagers who were without meals. Out of compassion he prayed and He felt that God was asking him to share his food with everyone in the village. He decided to obey God and put the food at his window. The villagers line up one by one and he gave each one a scoop of rice and a scoop of beans and after pouring out for six hours, it never finished! God did the miracle of providing for the whole villagers for the entire month and His name was glorified through the obedience of this Brazilian missionary. Commit your way to the Lord; trust in him, and he will act (Psalms 37: 5). When we put our trust in the Lord, we don’t need to be afraid of 2016. God will do things that we cannot do. God cares about the details of our life, even for small things. Take for example a testimony of Pastor Harun. Some time ago, he was in Indonesia for ministry and as he had no time to get any souvenirs for his daughters, so he decided to get some Krispy Kreme donuts (as it was still not available in Singapore at that time) at the airport. However, at the airport, he met Pastor Hannah Handojo who was travelling alone to Singapore. Pastor Harun decided to keep her company. That decision meant that he had to forgo getting the donuts, as Pastor Hannah might need some help. Two days later, a distant friend called him and asked if he was at home as she wanted to bring some Krispy Kreme donuts for his family. If God can look into the small details our needs, He can surely take care of bigger ones. We need to commit our ways to Him. God knows our needs and as we commit our ways to Him, He will act upon it. Rest in the Lord and wait patiently for Him. Be still before the Lord and wait patiently for him; fret not yourself over the one who prospers in his way, over the man who carries out evil devices (Psalms 37:7). Verse 7 talks about trusting God in His timing and plans. There was a man who was aspiring to be a movie actor but he did not manage to land a major role for movies, only for minor roles. So after sometime he thought of changing his profession. He wanted to do what he was good at, which was carpentry. After he started his carpentry workshop, he received a job order to come up with a movie set. This opportunity led him to meet the movie director George Lucas, who was looking for a leading actor for the movie Star Wars. While this man was delivering his job order, George Lucas found him to be suitable as an actor. Do you know that this is the life story of Harrison Ford? Many times we have our own plans that do not materialize and we get disappointed but we want to believe God for His timing. When we wait patiently for Him, He will reveal His great plans for our personal life. Let us put our trust in the Lord throughout the year 2016 in order for us to experience all His goodness. 2016 is the year of complete freedom in Christ. How can we stay peaceful in this troubled world? Troubled hearts have been known as the causes of physical sicknesses. John 16:33 I have told you these things so that in Me you may have peace in the world you will have tribulation but be of good cheer, I have overcome the world. However Joshua and Caleb believed that the Lord has promised yes there were big enemies. Our God is bigger than our troubles. The invisible God invite us to trust Him in the midst of visible troubles. How can we believe that Jesus loves us? The cross of Jesus CHRIST. There is no greater love than this. You are deeply loved by God. John called himself the disciple that Jesus loves. John rejoices in this identity. Fear is also actually a form of our beliefs. What kind of Peace that Jesus our Lord want to give us? John 16:32 indeed the hour is coming that you will be scattered each to his oen and will leave Me alone. This is the Peace of Jesus When everything else is gone and yet I am not alone because the Father is with Me. In one sailing journey Wesley met a group of Christians Moravian German Puritans. The ship suddenly tossed and turned the Moravians stayed calm and Wesley asked the secrets of their calmness it was because they knew their God personally. Life is like a roller coaster but we can be sure that the presence of the Father is with us.